Eventually a month after the lock bypass flaw was discovered by users and after several complaints on various fora, the Apple today released a fix called the update version 6.1.3. It is now available via a software update in the setting menu or through Apples iTunes software Over-The-Air. The flaw which was highlighted by various users and reported by me on 14.2.2013 had triggered privacy concerns for iPhone users. You can read the full article regarding the flaw here. Apple has promised that this update will fix the above flaw. In addition the update also brings value additions to the Japanese users and visitors to Japan. The Apple Maps has significantly made improvements in the Japanese maps. If the readers will recall the Apple had already issued the Japan oriented maps to the previous version devices over the air but not with the beta release of this update on 22.2.2013.
iOS 6.1.3 fix also has variety of security patches for its WebKit based Safari browser. The issue of unexpected termination of Apps and arbitrary execution of codes on visiting not so respected and malicious websites has been fixed via this update. The update has been issued for almost all iOS devices including iPad 2 and above. The biggest heartbreak will be for the users who favoured jail breaking their devices to use the unauthorised Apps which were not approved by Apple Store and rebels without a cause. As written by me earlier this update fixes the loop hole which allowed the Evasi0n developers to develop the most easy jail breaking program. Now you will have to wait till Evasi0n developers break this update. 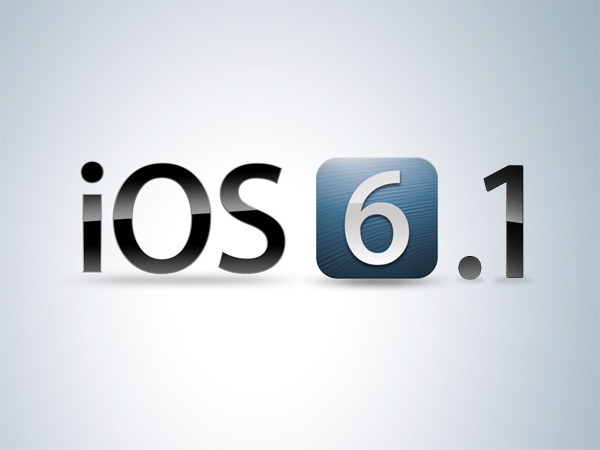 The version 6.0 took the longest for the developers and hackers to hack. In case you prefer to have a jail broken iOS devices you should hold the update for now. It is worth noting that over 1/5th of all iPhones in use are jail broken using evasi0n and programs are downloaded from Cydia or Big Boss repository. I have given the entire tutorial process here. For Apps please type Big Boss repository in Goolge and you will get the desired result. Apple also issued Apple TV update today. The new version is called Apple TV 5.2.1. It has number of bug fixes and a fully redesigned Hulu App. The fix also fixes a similar bug in Apple TV as iOS 6.1.1 which executed arbitrary code. Hulu now comes with a better discovery tool and some simple UI changes. Content categories are across the top navigation bar now to make it easy for users to switch between sections easily. Now there’s a new "Shows You Watch" tray that helps you keep track of which episodes of your favourite shows are yet to be watched by you. Users can also access the Subtitles and Audio menu for captioning videos. The 5.2.1 update also adds iTunes in the Cloud support for music lovers in Japan and Israel. Download the update for your iOS here. The Apple TV update is available here. Please post your comments/suggestions regarding this article. Glad to read yr post after so many days.Post is nice.Keep posting.